To say the path to the highest rank in Call of Duty: WWII is a slog is a bit of an understatement. First, you have to reach level 55 in multiplayer mode. At that point, you will become Prestige ranked. Once in Prestige mode, you have to level up 55 more times to reach Prestige level 2. This process continues through Prestige level 10. After reaching P10 and leveling up 55 more times, you receive the game’s highest rank of Master Prestige (which itself has 1,000 levels). It's no easy task to reach this rank but one player has not only done it but has gotten there without ever having fired a gun. A player who goes by TheseKnivesOnly has documented his road to the top on his YouTube channel. Of his more than 32,000 kills, all have come either from the bayonet on his rifle or via a melee weapon or throwing knife. He is the only person in the world to have achieved this feat. In fact, Sledgehammer Games was so impressed that it issued a shout-out from its official Twitter account congratulating him. Playing a first-person shooter using only melee weapons sounds like pure insanity but this is how he has played all CoD titles dating back to 2010’s Black Ops. 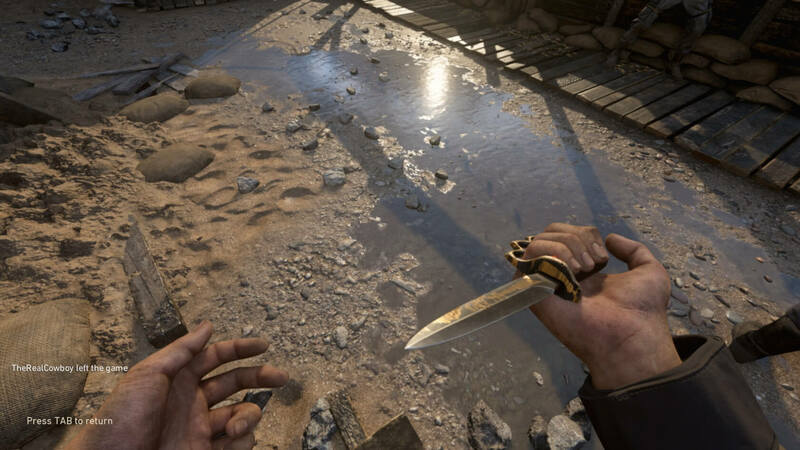 TheseKnivesOnly, who is also a member of professional gaming clan KARNAGE, told Kotaku that it was another player who got him interested in playing exclusively with knives. Even though he has reached the highest rank, it is not over for TheseKnivesOnly. There are still 1,000 levels of the master rank to conquer and he fully intends to do so.